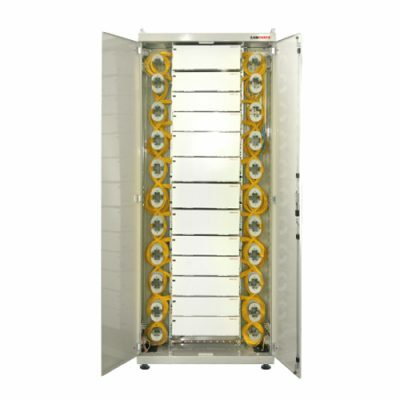 CAN-ODF-600 is an advanced optical distribution frame system which provides an ultimate solution of the complicated requirements of customers like highest possible fiber termination capacity and superior cable management. High density swing type of module is also designed to fit a variety of termination, splice, and storage applications. 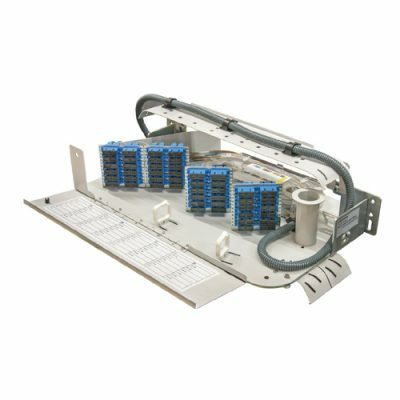 The combined splice & patch units have been developed for highdensity applications. When combining splicing and patching in the same Swing-Out module, one can double the density of the frame. This also increases the Optical Fiber Jumper cable bundles between separate splice and patch modules. The modular adapter plate & number of splice cassettes can be adjusted for your specific application.